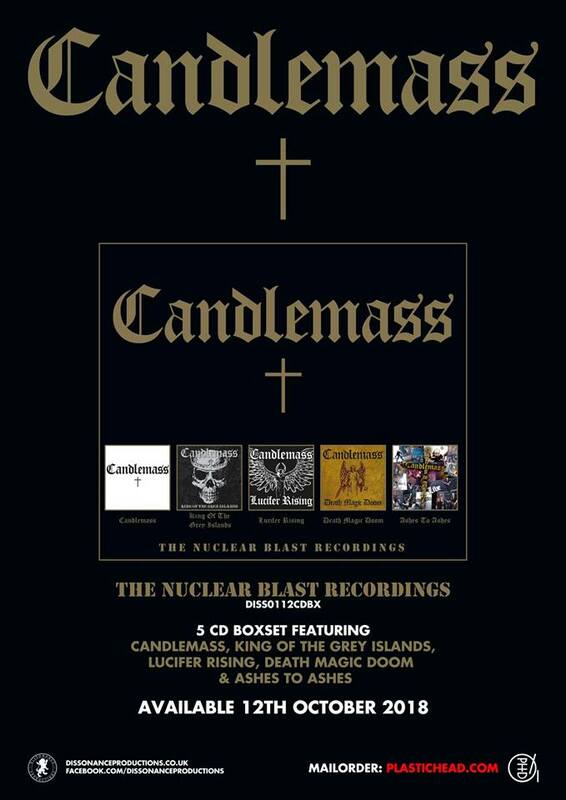 Candlemass :The Nuclear Blast Recordings is a 5CD box-set with lyric booklet enclosed in a double jewel case! During their long and illustrious career the Swedish epic doom metal masters released five records through Nuclear Blast. Candlemass (2005), King Of The Grey Islands (2007), Lucifer Rising (2008), Death Magic Doom (2009) and Ashes To Ashes (2010).